We have reviewed a few Thomas & Friends items recently as Zach has become a huge fan. 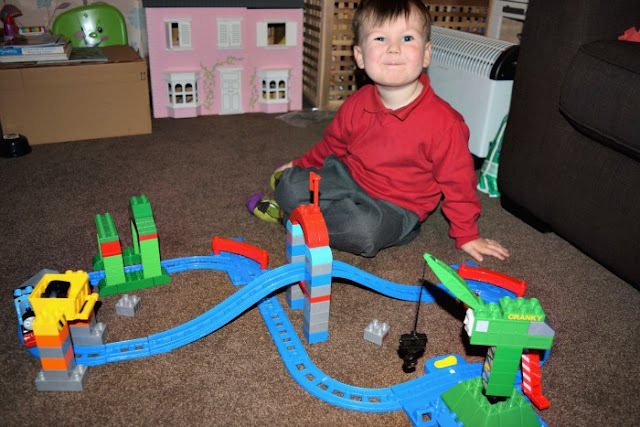 We were recently offered the Mega Bloks Zooming Along at Brendam Docks play set to review. 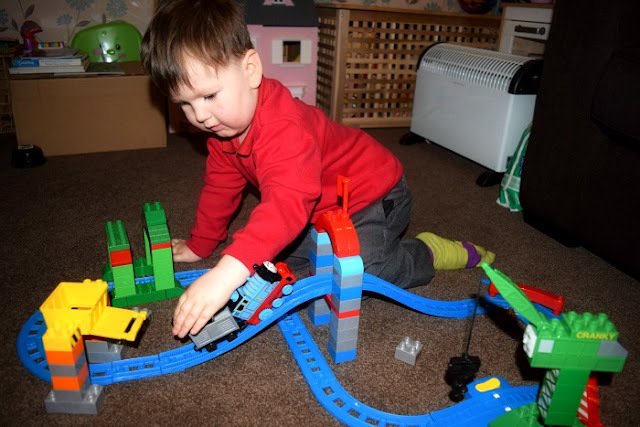 It’s another busy day in Sodor and Thomas is Zooming Along at Brendam Docks by Mega Bloks Thomas & Friends™! Now your little conductor can supervise all the activity at the bustling port, as the new motorised Thomas the Tank Engine actually chuffs along the dock’s looping tracks. Send Thomas through the Sodor Shipping Co. warehouse, past the checkpoints, under the coal chute, and over the elevated bridge! Cranky the Crane is there to help too, with his working lifting hook for heavy loads. But the two are happiest when working together, and when Thomas passes by, Cranky starts to spin! Build the docks and track, and use the stickers to add detail to blocks. It’s all in a day’s work with Thomas and Cranky! 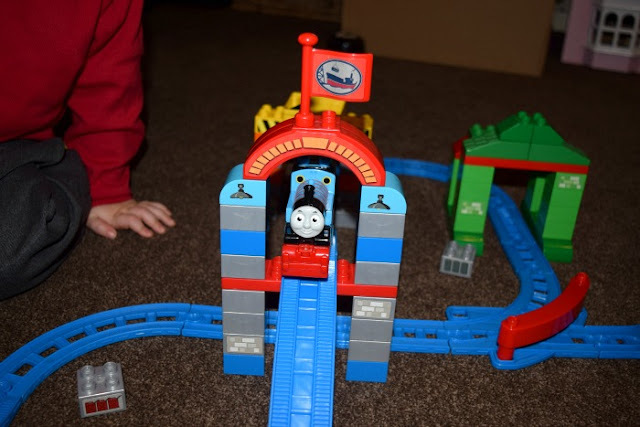 The Mega Bloks Thomas & Friends Zooming Along at Brendam Docks play set is huge! With 107 seperate pieces. 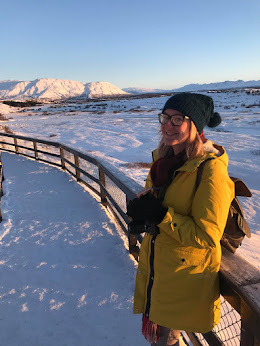 It is aimed at children aged 2-5 so the pieces are a good size and not small enough to be swallowed (which is important to us with Elsie getting her hands on everything). It is easy and fun to put together. It did take longer than expected the first time but I did have to add the stickers and step by step follow the instructions with an excited Zach helping me find the right bricks. Thomas is motorised which makes it really fun for Zach. He has a motorised Thomas train already so already understands how to use him and make him move around the track. Cranky can actually spin too so your child can make him pick things up and hold them. Zach's favourite part is the coal chute. He is nowhere near quick enough at opening it so that it falls into the empty carriage but finds it very funny to try. I really like that you can play around and change the bridge and arches. It is like no other train set. Your child can really use their imagination to create something different. Mega Bloks Thomas & Friends Zooming Along at Brendam Docks has a RRP of £49.99.